With over 20 years of immigration law experience, the Sacramento immigration attorneys at the Law Offices of Lawrence Gruner, Inc., Inc., Inc., Inc., have helped hundreds of clients to obtain green cards, fiance visas and U.S. Citizenship . With our experience and expertise, your case will be handled quickly and efficiently so that you or a loved one can secure a green card. As a Christian immigration lawyer, Lawrence Gruner provides compassionate and professional representation to individuals, businesses and corporations via a wide variety of legal immigration and nationality services. Our immigration attorneys in Sacramento eliminate the often intimidating and complex maze of bureaucracy so you can check this off your list, and get on with your life. Let the Law Offices of Lawrence Gruner, Inc., Inc., Inc., Inc. be Your Partner through this Complex Process. We are happy to talk to you, on the phone, free of charge, about your specific situation. Your call will be confidential and the advice is free. You do not automatically get a fiancé visa a green card or your Citizenship. You must prove that you are entitled to these things. Hiring a reputable immigration attorney like the attorneys at Lawrence Gruner, Inc. will help increase the likelihood that you will be granted your desired result. Affordable Attorneys For Immigration Services – How Much are Our Legal Fees for Immigration Cases? Simply call us now for a Free and Confidential phone consultation regarding your immigration case at 916-760-7270. What Are Your Options Getting a Green Card, Obtaining Citizenship, or Obtaining Visas on Your Own? Option #2: You’re a book mole, read all the best textbooks on the subject (could take months), and trust the application process will go as planned. However, most textbooks provide generic advice that can be outdated as immigration laws change. Furthermore, legal strategy varies as what worked in one case, may not work in yours. Option #3: You can save a little bit of money by hiring a paralegal, or notario to handle your case. But…does your paralegal lack formal training? Are they licensed? Do they have this type of legal expertise? (Does it make sense to risk your case in these scenarios?) We are regulated by the State Bar of California, insured, and have 20+ year successful track record handling these types of cases. Option #4: Let us handle all of the headaches, and guide you through the maze of U.S. immigration law. We’ll develop a clearly defined plan with a central focus on what’s important in your case. Most importantly, we’ll help you identify any potential issues or weaknesses in your case, and work together to overcome them. We’ll ensure that your spouse gets his or her green card without any problems or hassles, affordably, as we go through the process in a stress free manner together. your case for months. We won’t let this happen to you! 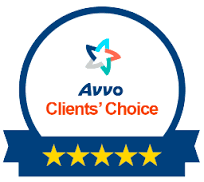 We have great reviews from previous clients. Law Offices of Lawrence Gruner, Inc., Inc., Inc. Inc.